The how and why of people choosing to blog are as varied as the people who write, but you probably have a few favorites. I know I do. We try to always have encouraging things here at Home Sweet Life. The world around us can, at times, be tough and depressing, so we're trying to shine a light in the darkness. Today I would like to tell you a little part of why I am thankful for my blogging friends, and then invite you to visit some of their blogs as well. Having an idea to blog about isn't the hard part. The hard part comes after the idea. Just how will you communicate your idea, opinion, or inspiration? My friends that have been blogging longer than I have are great resources. They write with varying styles, which often reminds me that I too can choose to change things up. Some of their blogs are mostly pictures, some mostly text, and many of them have a separate 'reviews' area. One of my favorite blogging friends is Marcy. She is my go-to gal for all things technical. (She even made SWL's blog button!) Marcy is always willing to answer my questions, which is good, because I have a lot of them! Someday I'll be in the position to share from my knowledge of blogging to help a new blogger. For that, we'll both be thankful for Marcy. Other friends share about places they go, or activities they've done with their children. Those often inspire me to plan something fun for our family. 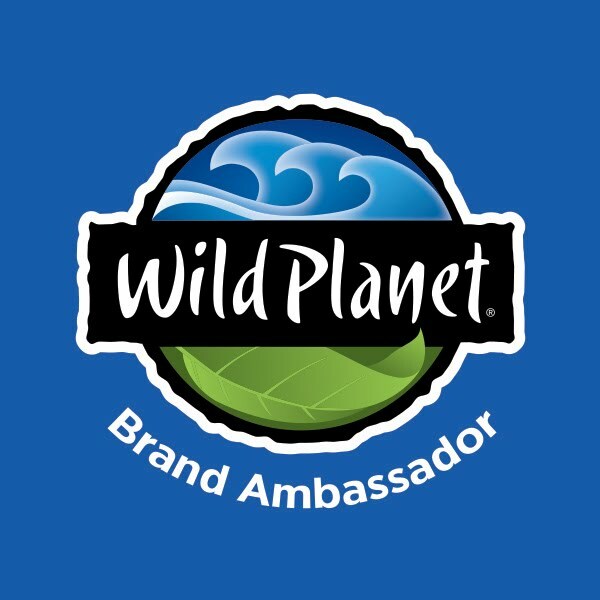 Others are experienced gardeners, or always seem to know about the best giveaways. While the possibilities are endless, my time to read blogs is not. So, I often take recommendations from friends about which blogs, or which specific posts to read. We would love it if you would stop by and "like" the page. We'll be using it to introduce you to our blogging friends, and we often post links to posts we think you'll especially like. 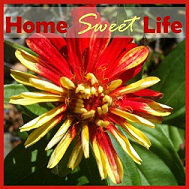 So stop by, meet our friends, and feel free to leave a comment with a link to your blog if you have one. We'd love to stop by and visit! The night was dark, the winds were howling, the temperature was warm (wait- that's not right for January,) the forecast was for rain, thunderstorms, and more rain. This was not going to be a typical Indiana winter storm! I was driving to work, hoping to get there before the storm broke lose... and then, I saw it, just a glimpse, but it was enough. The moon broke through the clouds, big, round, glowing buttery yellow. I had seen a glimpse of life outside the storm. I was in awe! In the midst of all the bustle of life, work, school, doing taxes, raising children, loving my husband, God showed me a glimpse of life outside the storm. I do not equate most of my days with a storm, but this had been a particularly busy day, and I still had six or seven hours of work to go. God graciously allowed me to be stilled, to quiet my soul from the torrents of life, and to remind me that HE sees everything. He is here with me in the midst of my daily struggles and joys, yet He can see the end from the beginning. I was reminded once again that I do not need to know how my story will end. I do not need to know how long each task will take. I have no need to understand where this home educating path will take us, or what will happen in our parenting life. I NEED simply to hold onto the one who is holding me through the storms- Jesus! Just a glimpse of life from the outside, the sight of a beautiful moon, reflecting the sun, shining light to all who see it. I want to be like the moon was last night. I want to be reflecting the Son to all who see me while going through their own storms. I want to be a hope and a light. To do so, I need to stop focusing on what I cannot see or understand. I need to focus on the hope that I have in Christ. I choose to offer others a glimpse of hope. If you are in the midst of a storm, know this, God has not abandoned you, He is right there with you, carrying you through. I'm praying you will see just a glimpse, and find strength to carry on! I hear a lot of complaining around me (no, not in my house, but in the places I go.) Sometimes I even succumb to complaining myself. That is just not a good idea. Here is a great idea, focus on your blessings instead of complaining. Every time you are tempted to complain, stop...........and make yourself say something you are thankful for instead. It is about our hearts. There are plenty of negative people out there, but we don't want to join their ranks. We want to be different. We want to live differently. Jesus calls us to be different. Out of the overflow of the heart the mouth speaks. No one wants a grumpy heart-attitude. Just try it. Focus on the blessings. I think you'll find that it works. When you think about it, it won't seem so hard. Instead of complaining about the rain, (stop,) think about last year's drought, and how thankful all the farmers will be for a better year of farming, or how much easier it will be to grow tomatoes. Hopefully you're getting the idea. We can't be lights in the darkness if we're always carrying a dark cloud over our own heads. Get a good night's sleep tonight. Get your things organized for tomorrow morning, and write your list of what you still need to do, then go to bed. After a good night's sleep, you can wake up singing, or praying, and be ready for a day where you focus on your blessings, and where complaining has no place in your words or thoughts. Be different. Be a light. Tomorrow I will be thankful for ... YOU! Ok, so by now, you've probably circled DOZENS of seeds in your seed catalogs, and you have grand designs to grow almost everything in your garden. Let's all stop and pause a moment. So you've determined that you will devote a 10' by 3' area to tomatoes this year. (Or whatever your space is.) Be realistic about how many varieties you will choose, and how many plants to start. Most of us will have friends that will gladly take your extra healthy seedlings off your hands, but you don't want to order 8 different kinds of tomato seeds if you KNOW you only will have space for 4 or 5 plants. Now, before you order your seeds, is the time to be tough with yourself and decide what varieties you REALLY want to grow. Take this same space/ plant ratio idea through each type of plant and each gardening area you have. If you're the type that does better with paper & pencil, you can print free graph paper from: http://www.printfreegraphpaper.com and map out your garden that way. If you're unsure how big each type of plant variety should grow, look at the descriptions in the seed catalogs (or look it up on the web.) The quality catalogs want to give you the info you need to make good gardening decisions. If you're still unsure which gardening zone you live in, you can look it up here: http://planthardiness.ars.usda.gov Just type in your zip code! 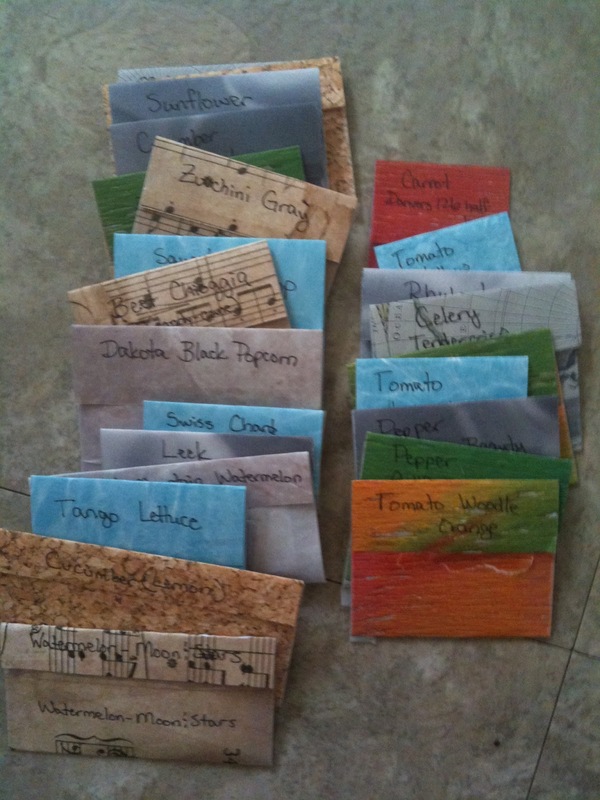 Happy planning, and don't forget to order your seeds soon, while the selection is still great! What is your must have seed for this year? Leave a comment below! Today I am thankful for a warm house, a boiler & radiators that work, and enough money to pay the gas bill each month! Just in case you haven't heard, we've been in the throes of an Arctic blast this week. Although Indiana CAN get down to -10 degrees F, it doesn't happen very often. In fact, it is rare that our part of the state goes below 10 degrees for more than a day or two at a time. Well, this week's weather must have originated inside the Artic Circle, because every day's clothing choices make me look like I'm going on an expedition to the North Pole with Robert E. Peary! It has ALMOST been too cold to snow, and what has come down is the driving, biting, icy flakes. That doesn't inspire a picture perfect postcard now does it?! So today, I am thankful for a warm house. Of course, when the winds were blowing at 20 mph earlier this week, "warm" was a relative term. Compared to outside, the kitchen is balmy at 60 degrees, and the upstairs is fairly tropical at 70! I think most of us have a favorite season, mine is most definitely NOT Winter! The good news about the weather is, it makes a great time to snuggle under blankets and read a good book. If you're also in the midst of a winter storm... snow, ice, or just plain COLD, know you're not alone! God is surely watching over you just as He watches over the sparrows. So today, won't you join me in being thankful for a warm house, and your family that lives inside of it!?! Being thankful is a choice. Chose today to focus on the blessings around you. The dictionary defines "fellowship" as 'friendly association.' I would like to insist it is so much more than that! To me fellowship is a chance to refresh, renew, be challenged, express your concerns, share viewpoints, be inspired, and be loved. To me, fellowship occurs in both the most unusual, and most planned of places. Fellowship requires something of us, it requires us to be present, to focus on the other person, not just ourselves. To me, that is one of the greatest things about fellowship, it is a give and take relationship, however short the conversation may be. Focusing on someone else during fellowship allows God to do things in our hearts. He may bring forth compassion, or laughter, sorrow, or joy. It really doesn't matter what our original motive for the fellowship was, as long as we stay open to HIS leading. God is calling us to pour into the lives of those around us. Fellowship, the getting together and talking, the sharing of lives, allows Him to give us direction, passion, and sometimes ---healing. Perhaps it has been a while since you've fellowshipped. Maybe it was just earlier today. Either way, or anywhere in between, allow God to direct your conversations. Perhaps your next great time of fellowship will simply be seeing a friend at the store. Take a minute or two to genuinely ask how your friend is doing, or if they have any prayer requests you can include with your own. Fellowship means sharing, our time, our resources, our lives. I am SO thankful for the times God allows me to fellowship with my friends and family. God has allowed me to be a part of a wonderful community of Christian friends. He has also allowed me a few non-Christian friends, what a blessing they are. They keep me focused on sharing Christ's love with everyone through my words and actions! I am grateful for my aquaintances: the people I see at church and recognize by face or name, the tellers at the bank, the cashiers at the stores, they are all a part of my week. BUT, I am truly thankful for fellowship with my friends!!! They lift me up, make me laugh, pray for me, challenge me to pursue God's will, encourage me as a parent, and allow me to do the same for them! Today I am thankful for fellowship! So who wants to come over for a cup of herbal tea??? Gardening 102 - What next? If you're hoping to garden this year, it makes sense to plan ahead. Planning ahead can save you a LOT of money. 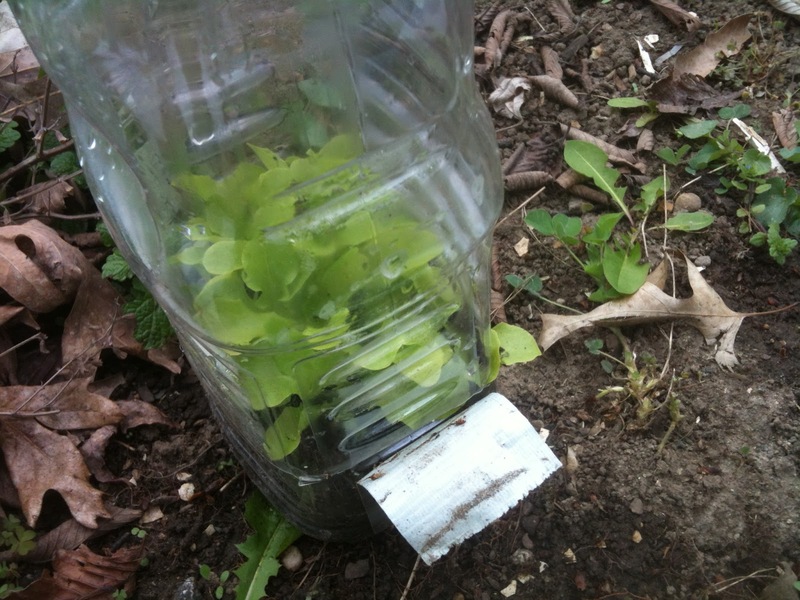 First suggestion: if you've had a garden in the past, go through your leftover seeds and see what you have. I did this recently and realized I have 3 kinds of carrots, 5 kinds of bell/ sweet peppers, 3 kinds of beets, 5 different kinds of zinnias, and enough cucumber seeds to plant the whole yard. So guess what, I'm NOT ordering any more cucumber seeds. What I did find a need for is red leaf lettuce and grape and cherry tomatoes. It really only took my about 30 minutes to go through my saved seeds. Usually, anything from the past 3 seasons will still germinate for me. Anything older than that is "iffy." Another suggestion: save things you know you will need/ want. For example: we are going to winter-sow again this year, so I've been saving our empty milk and OJ jugs. So far we have 18 of them in the basement. That's not enough for everything we want to winter-sow yet, but it is a significant start. By the end of February we should have about double that. I'll use some to start plants in late January, and more in February and March. So the next time you empty that jug...think... will I want this later? If the answer is "YES!" then you are probably a hopeful gardener. Today I am thankful for mentors. mentor |ˈmenˌtôr, -tər|nounan experienced and trusted adviser: he was her friend and mentor until his death in 1915. While I have had a lot of outstanding mentors during my life, recently I have been thinking about how grateful I am for my Home schooling mentors. We have been at this grand adventure of educating at home for quite a few years. When we were just starting, a dear friend suggested that I read a book that had helped her tremendously. It helped me tremendously as well. It reminded me that we were choosing to educate differently, that we wanted the best that God could help us provide for our daughters. The book ? "A Charlotte Mason Companion" by Karen Andreola. Soon after I found another book that also helped mentor me, "Beyond Survival: A Guide to Abundant-Life Homeschooling" by Diana Waring. These two books mentored me through the words of these two precious ladies. 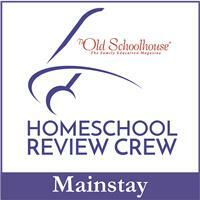 They each shared the joys and struggles of being a home schooling family. While I have been blessed to have many 'in-person' home schooling mentors, these two women spoke to my heart in ways no one else did. They encouraged me to not give up, to do what God had called us to do, and to do it with JOY! About two years ago I was blessed to actually meet one of these two dear book-writing mentors of mine, Diana Waring, at a conference. How exciting to just have a few minutes to tell her how much her words had blessed us. Imagine my joy when last year...she moved to our town. Now Diana is not just a mentor, she is a dear friend. If you don't yet have a mentor, pray for one, look for one, beseech God to bring one into your life. Then one day, you can be a mentor to someone else. With the comfort you receive, you can comfort others. Mentors give of themselves in order to help others succeed. If you're an experienced (home schooler, seamstress, gardener, taxidermist, carpenter, lawyer, etc), why not consider who YOU can be a mentor for. One day, they'll thank you for it! I hope you are thankful for many things, I certainly am! I know it is a little unusual, but today, I am thankful for our new cotton flannel sheets. It has been several years since we had flannel sheets. Now that we have some, I am SO GLAD we do. This past week, it turned cold (in the teens at night, 20's during the day.) While this is not that unusual for this time of year in Indiana, It doesn't mean I have to revel in it. Yes, we have plenty of warm blankets and quilts, but those flannel sheets are so comforting when you first slip into bed at night. They're not cold on your skin. They warm up and stay comforting all night. Oh, and ours have cute snowmen on them! Now, if you do a little searching on the history of flannel, you will find out it was originally made from wool, then it was adapted by adding silk or cotton, and eventually turned into mostly cotton, although there are some that are cotton/ polyester blends today. Think about it like this: wool plaids (kilt anyone? ), lumberjacks, everyday working man, your comfy new sheets. I try to stay away from synthetics as much as possible, especially with bedding, since half of our family has sensitive skin. I would rather my clothes wrinkle, or my sheets shrink over time, than my family be uncomfortable. When I try to imagine wool sheets, I get a little itchy. After all, wool IS incredible warm (ask a sheep!) but I find it irritating when it is against my skin for long periods of time. So I'm glad that flannel is now available in cotton. Our sheets are comfy, and they were on sale, and I used a coupon...all good reasons to be thankful for the blessing of our new flannel sheets! Gardening 101- where do I start? It's the most wonderful time of the year, time to plan my gardens! Ok, not really, the most wonderful time is when it is warm enough to stay outside for more than 30 minutes, but it IS time to start thinking about gardening. Most people don't plan to fail, they fail to plan. This is especially true in gardening. Now, there are all sorts of gardeners out there, you need to decide which kind you want to be THIS YEAR. That doesn't mean you can't change, but you need at least a basic idea to get started. 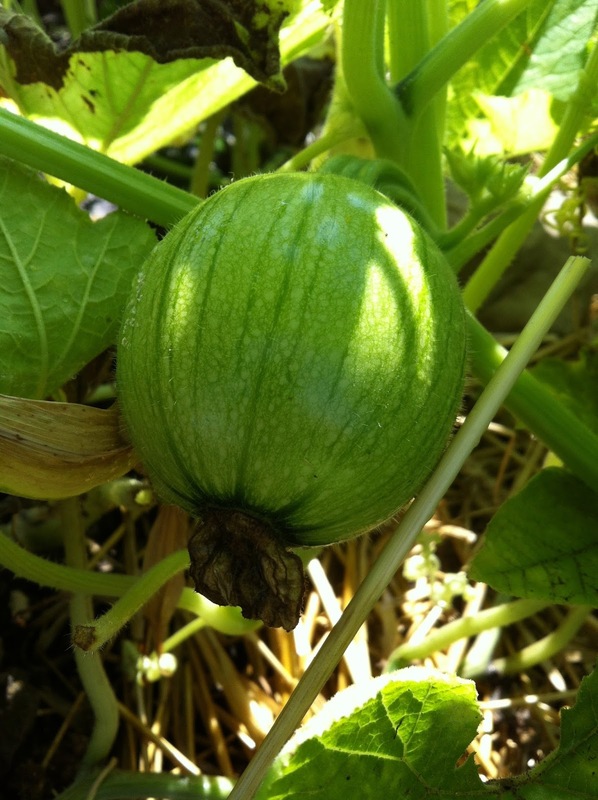 Will you be a sustinance gardener, growing everything possible & putting up cans and cans of veggies for next winter ? (This is NOT recommender for beginners!) Do you want to grow veggies at all? Maybe you want to be a flower-only gardener, with maybe a few herbs thrown in. 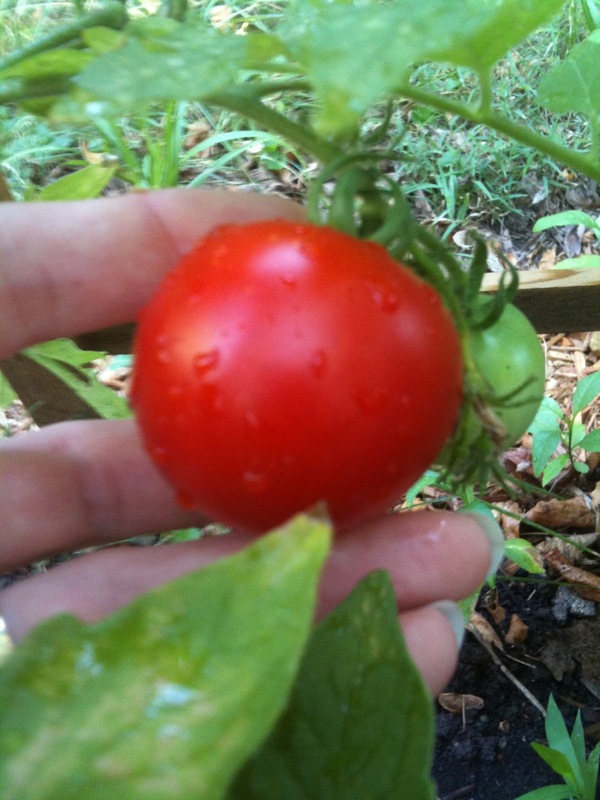 Perhaps you've been eyeing your neighbors' tomatoes the past few summers and want to do small scale gardening. Will this be in a garden bed, raised beds, in containers, or amongst your flowers? If you're a novice...or just a little unsure how much time and energy you want to commit, I suggest you choose a small scale garden area, either a bed or containers. Remember that if you choose containers, you'll probably need to water them daily in the heat of summer. If this is not a realistic expectation in your lifestyle, then choose a bed instead, where you can get away with every other or every third day watering. So, let's say you choose to do a small-scale garden bed, 8'x16'. Now what? First, give some thought to what you want to plant, and where you will put the garden. Almost all garden vegetables like full sun (7-8 hours a day), so this needs to either be out in the open, or on the south or south-west side of your yard. 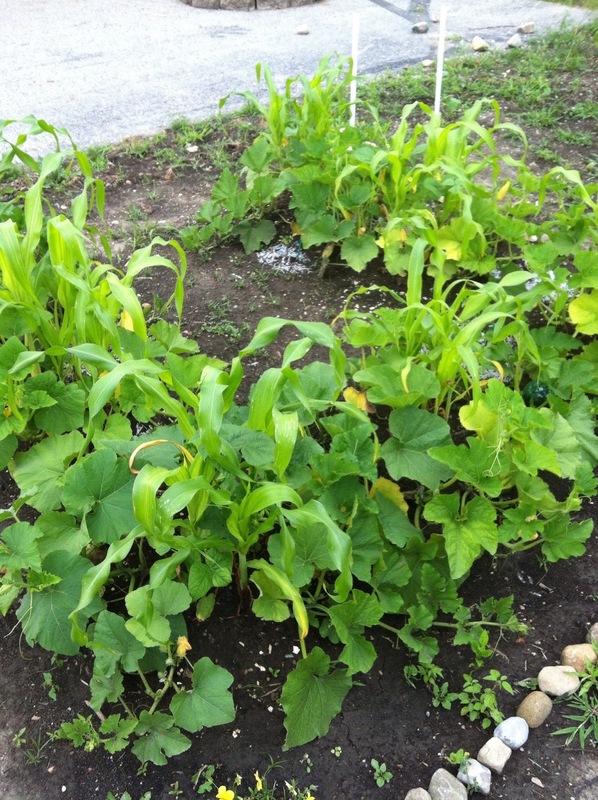 With a small bed, you're NOT going to have enough room for corn, or long-vine-y things like pumpkins. That's ok, both of those are usually available at your local farmer's market. Another thing to think about, how far is this proposed garden site going to be from the spigot? Because there will be days you need to haul water. Will your hose reach it? Will you be carrying buckets? (Remember that city water is not as good for your plants as rain water. But, you CANNOT water you plants with softened water from your house. So, make sure you have a spigot that's not connected to the water softener, if you have one, or that you can bypass the softener somehow. Think about the things your family enjoys eating the most. Tmatoes, lettuces/ greens, cucumbers, onions, peppers??? These will determine your next steps, so decide what you want to grow. Now, you've decide what to grow, you've picked a place, and you're sure you'll be able to water it. Great! But you're thinking, it's January, come on?!? Yes, January, the time to plan when you need to plan. If you're going to buy all of your garden plants from your local hardware or health food store, you can take a break for this month. If you're wanting to start your own plants, you need to make out a schedule. One more thing for now, where to get your seeds. I have some favorites. You may have some too. Sometimes they send you lovely seed catalogs full of pretty pictures & descriptions. I like those a lot, but there are some companies I've shied away from because they don't test their seeds for GMO's. I'm planting a vegetable garden to give my family the best food at the best price, and GMO's are not a part of that equation. That is a personal choice. If you're not aware of GMO's and the threats they pose to heirloom vegetable varieties (& our overall health,) I'll leave you to do that research on your own. Baker Creek Heirloom Seeds http://rareseeds.com - there is a link to request your own lovely copy of the catalog on the middle of the homepage. Southern Exposure Seed Exchange http://www.southernexposure.com - also a link to order your free catalog! FEDCO http://www.fedcoseeds.com -they have a great fundraising program that our 4-H Club does every year. Remember, in the world of gardening, like in all of life, you will run into companies or websites that don't always agree with your views or lifestyle. That doesn't make their advice any less meaningful. Take the good, leave the bad, use discernment. I don't have to agree with someone's personal choices or politics to know they carry the best ______ seed, or have the best tips on combatting _________ garden problem. So, happy planning, happy dreaming. Check back soon!